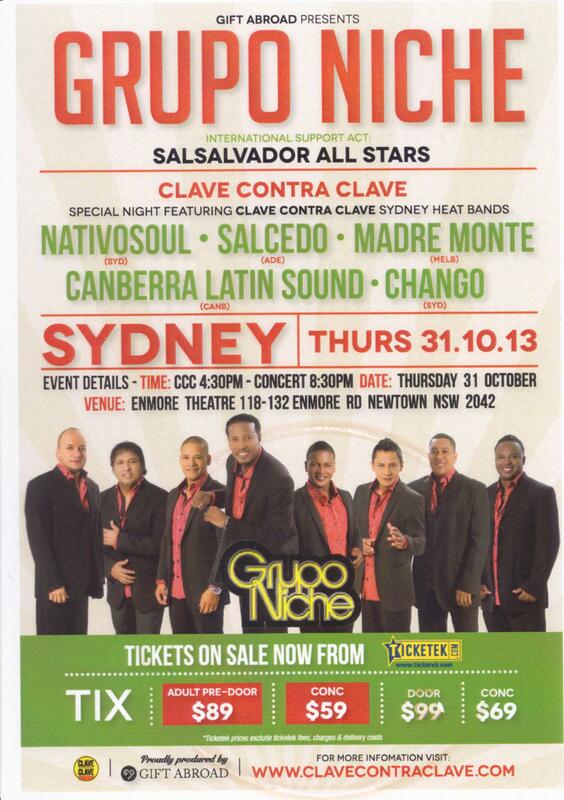 We’re supporting Grupo Niche at the Enmore theatre as part of the Clave Contra Clave band competition on Thursday the 31st oct. Come down to the Enmore after work for an evening of classic salsa, with fantastic local bands, dance performances and Grupo Niche. Clave Contra Clave starts at 5.00pm. We start at 5:40pm. Grupo Niche at 9pm.